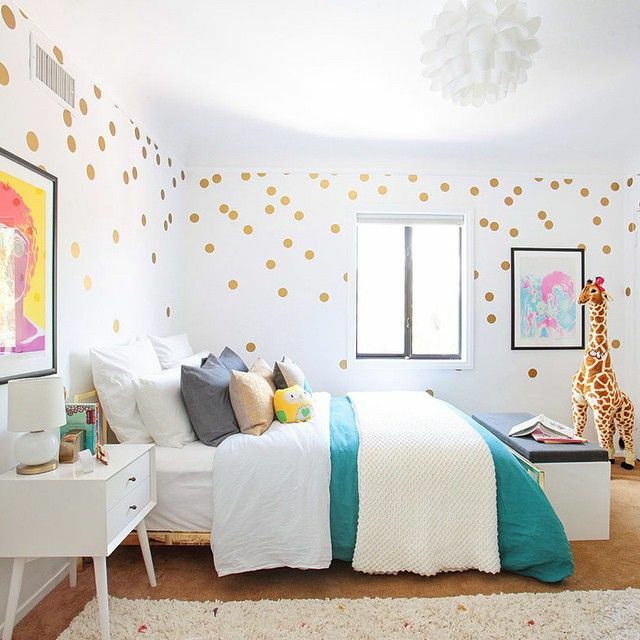 10 kids rooms that will inspire you to think outside the box! Hello! 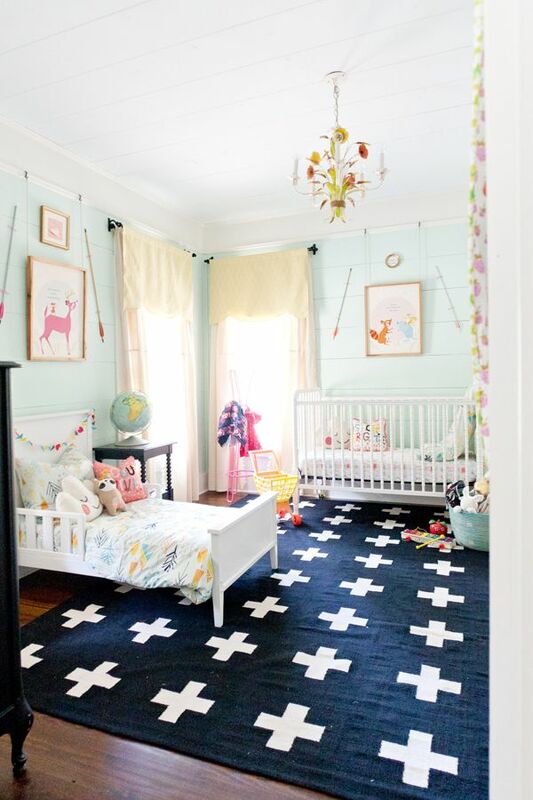 I've rounded up 10 kids rooms that definitely speak to kids imagination and to parents with design savvy style. Obviously decals are high on my list on how to customize a kids room and make it feel like it was made especially for them! This Ikea hack looks so comfy and it's so affordable. 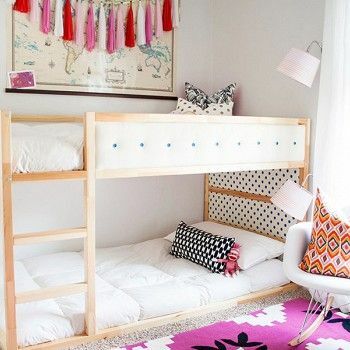 Even if your kids don't share a room this bed is a big hit for sleepovers or just for play. Wallpaper in a boys room? Hell yes! It adds so much richness and elegance to an otherwise juvenile looking scheme. Definitely a great way to add drama. Keep all other design elements simple and cohesive. They used orange curtains (opposite on the colour wheel of blue) which keeps our eyes happy! Again with the decals! These are the same decals I used in my girls room (for a couple months) before Brooklyn decided it wasn't really her style, lol. Design by Emily Henderson. Add a whole lot of pillows to your kids bed and they will love you for it! Pillows are definitely a great way to add interest, colour and comfort. And they're fun to play with too! 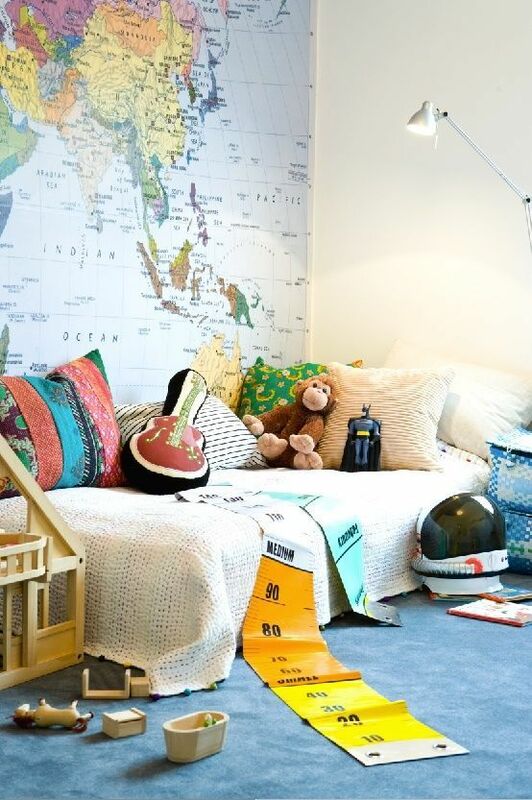 A huge world map decal also works well with the blue carpet and gives the bedroom a worldly well travelled look. 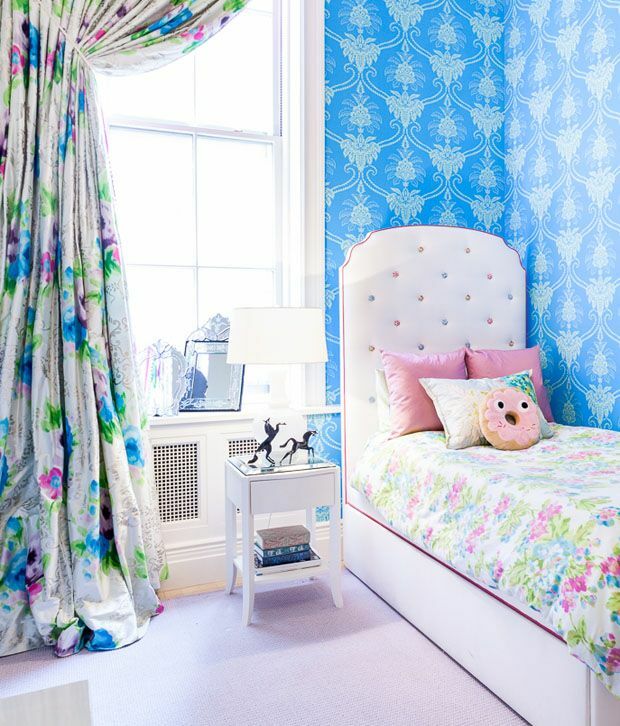 I love blue, obviously, and this room has got a whole lot of it. 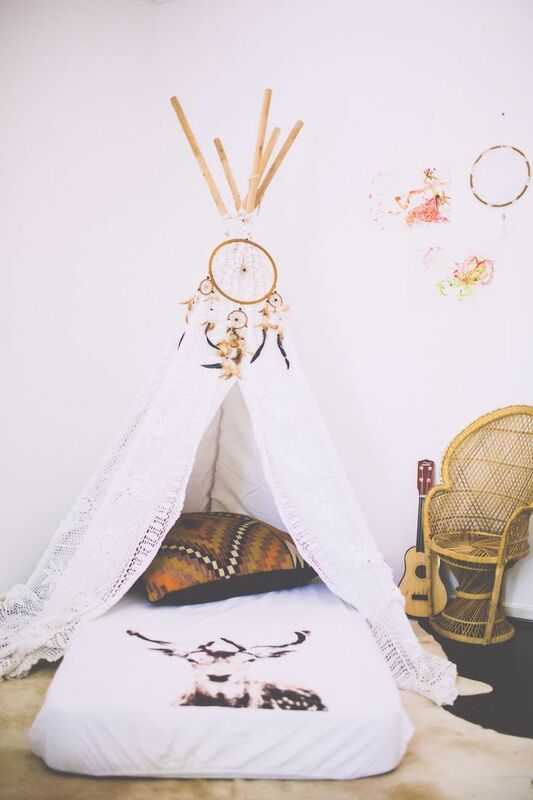 A very fun design with the graphic wallpaper, a bit of whimsy with the wooden birdhouse on the wall, and a bit of magic with the canopy above the bed. Not really suitable for under 5 but still beautiful none-the-less. This monochromatic scheme is more easily attained for the colour resistant. But be careful to use a lot of different textures to keep the room from falling flat. Switching your toddler to a bigger bed? 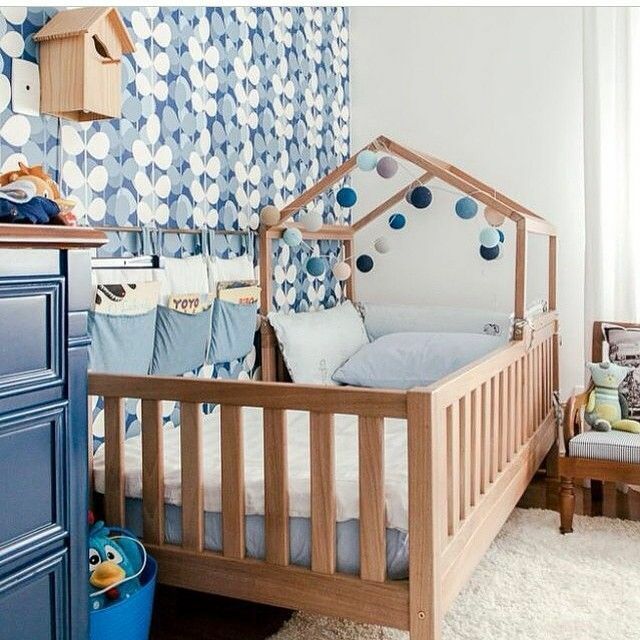 Why not create this perfect little cocoon using his or her crib mattress. Inexpensive, fun and down-right adorable. Texture, texture, texture. 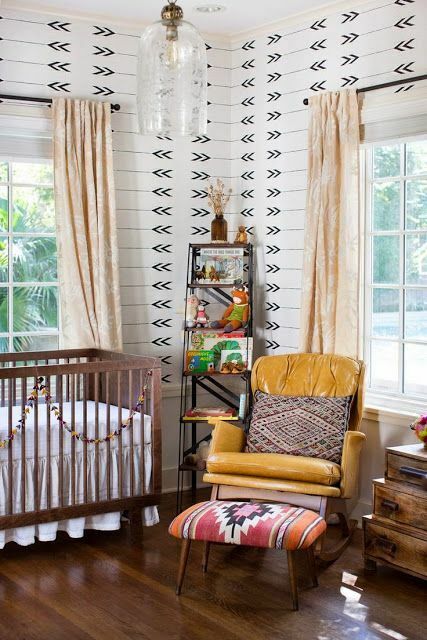 Leather, wood, glass, fabric, and wall decals create a very interesting and comfortable room ready to grow with child. Okay, that's it for me this morning, have an amazing weekend!